Garmin has unveiled its nuvi 3700 series of sat navs – devices which 'rethink an industry icon' and includes a new flagship in the nuvi 3790T. 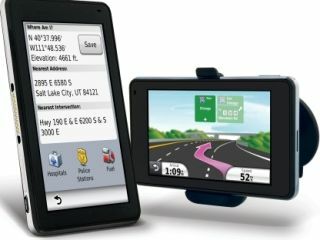 With the pressure increasing from mobile phones, sat nav manufacturers are keen to raise their game, and Garmin's effort offers things like pinch to zoom, dragging maps for surrounding areas and map rotation, elements familiar to phone users. But it is the design that headlines with the 3700 series, with the device bringing home a Red Dot Design award. "Personal navigation is entering a new era, and the nuvi 3700 series has the stunning design and seamlessly intuitive interface to lead the way," said Dan Bartel, Garmin's vice president of worldwide sales. "Our designers and engineers were challenged to rethink an industry icon, and the result is as pristine as it is practical." The nuvi 3790T and nuvi 3760T feature free lifetime traffic alerts and Bluetooth wireless technology for hands-free calling with a compatible phone, and the whole nuvi 3700 series is preloaded with ecoRoute to help drivers with fuel-efficient navigation, helping to conserve both petrol and money.